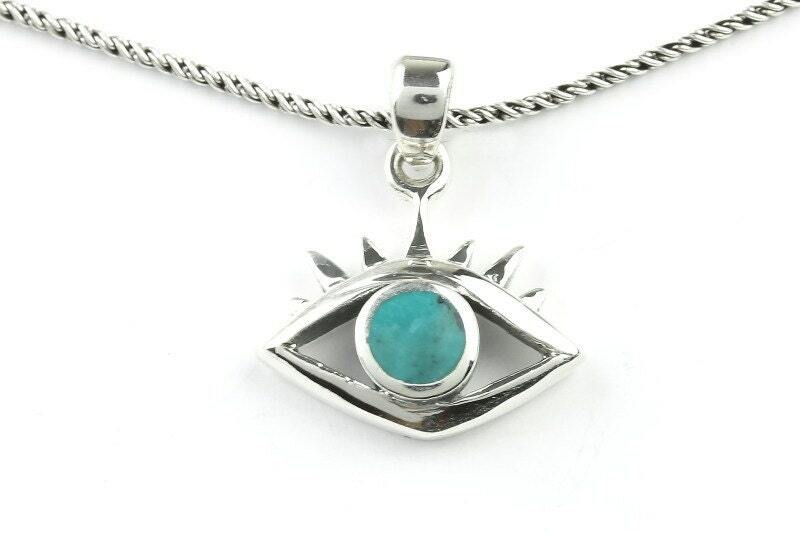 The sterling silver evil eye necklace displays a center Turquoise stone. The pendant is a high polish finish. 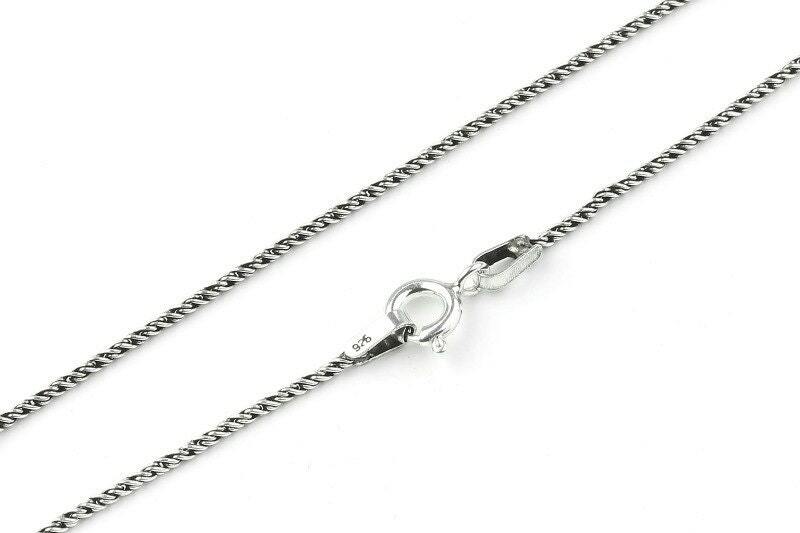 Chain is 24 inch in length.